UNIVERSITY of Stirling graduates were capped by Chancellor, Dr James Naughtie, during graduation ceremonies on 25 November, which were overseen by Principal Gerry McCormac. 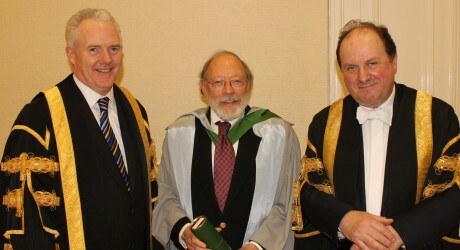 Honorary degrees were also awarded to architect Robert Steedman OBE and environmental history Professor Donald Worster. It was a memorable day for University Secretary Kevin Clarke, whose role has seen him award degree certificates to thousands of graduates during ceremonies since 1995. Mr Clarke will retire from his post in March 2012 making this graduation his last. The Albert Halls could not have been a more fitting venue, as the former Stirling student received his own degree in philosophy from the University in the same venue in 1974, in front of his delighted parents. The Secretary, whose job during the ceremony is to ensure the right certificate is handed to the correct student, said: “Never for a moment when I graduated in 1974 did I think I would be back years later handing them out to other students. One family had a double reason to celebrate as father and daughter Vivian and Samuel Ayinde graduated together. Samuel travelled from Nigeria to be capped 22 years after completing his MBA in Marketing at the University in 1989. Work commitments meant the 53 year-old international student had to return to Nigeria following the completion of his course, so he was unable to graduate alongside his classmates. Vivian, who has followed in her father’s footsteps and graduated with a MSc Masters in Marketing with distinction, asked if he could take part in the ceremony and the University gladly agreed. Vivian (24), said: “My father is my role model and mentor so it’s exciting to go through this graduation experience together. We both experienced classes with the same lecturer but decades apart which was also amazing! Another student travelled almost 10,000 miles for her graduation. Vietnamese student Trinh Tuyet Ngoc Nguyen from Ho Chi Minh City made her first trip to Scotland to participate in the ceremony and graduate with a Masters in Media and Communications Management. Trinh, who works as a Corporate Communication Manager for L’Oreal Vietnam, completed the course by attending Ho Chi Minh City University’s Humanities and Social Science campus, with professors from Stirling University flying to Vietnam for the lectures. A lack of professional corporate communications training in Vietnam prompted Trinh to search online for international qualifications, where she discovered the Stirling course. She said: “Other overseas universities delivering training courses in Vietnam often compromise in standards to attract more students. Stirling is quite determined to sustain its quality of teaching and high standards in assessing students. Friends and family unable to attend the graduation watched the ceremony streamed live online via the University website www.stir.ac.uk . A reception was held at the University’s Pathfoot Building following the ceremonies. The University of Stirling admits around 175 study abroad and exchange students each semester. Around half come as part of organised exchange programmes, with partner universities around the world. Others apply directly themselves, or through a study abroad provider listed in the Programme Providers page. Most are in their third year of study, but the University welcomes all students from all years of undergraduate study. MEDIA RELEASE posted by the University of Stirling. 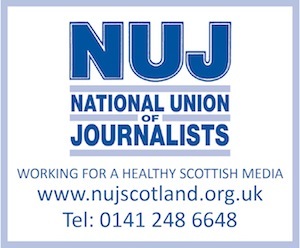 You too can post media releases on www.allmediascotland. For more information, email here. And do feel free to follow www.twitter.com/allEducationPR.